According to Kristina Hoque, MD, PhD, of the University of Southern California and colleagues from ACR’s Harvey L. Neiman Health Policy Institute, no specialty in medicine serves more Medicare beneficiaries than radiology. This distinction opens tremendous opportunities for engaging more patients and better branding the specialty. Presenting their research at the annual meeting of the American College of Radiology in Washington, DC this past May, Hoque and her fellow colleagues arrived at their findings by identifying all physicians who provided services to Medicare fee-for-service beneficiaries in 2013. Often, radiology is though of as a non-patient facing profession. However, according to Hoque et al, it’s critical to not lose sight of the central role radiologists’ play in properly orchestrating patient care. The authors of this study aimed to assess the number of unique Medicare fee-for-service beneficiaries radiologists on average serve yearly, compared to other medical specialties. Through extracting beneficiary counts per provider and comparing all recognizable specialties, the team found that diagnostic radiologists served, on average, 3,150 ± 2,344 beneficiaries, more than any other specialty. The top five subspecialties also included cardiologists as second, cardiac electrophysiologists, and dermatologists. In their discussion, the authors did mention that their combined data sets don’t allow for finding out how many patient-case interactions included patient-radiologist communications. However, they did note that the study demonstrates the immense opportunities and potential impact of developing mechanisms for radiologists to increase their communication with patients. Imaging utilization shows radiologists to be leaders in current patient care orchestration – with imaging utilization rates across all imaging modalities continuing to rise each year. For example, from 1994-2012, the overall utilization rate of cervical spine imaging for Medicare beneficiaries in the ED setting more than tripled, and an additional study by Prabhakar et al in 2005, found CT angiography usage in the Medicare population increased significantly from 2001-2014. 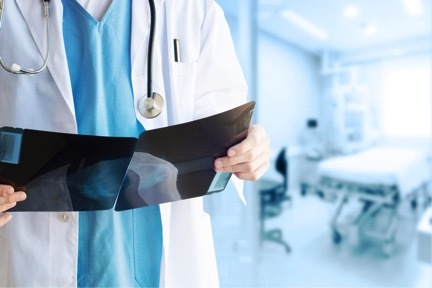 As a result, radiologists are projected to have an increasingly more prominent impact on the future of delivery of patient care. As the radiologist continues to play a more prominent role, it’s critical now to emphasize a value-based patient centered mentality. According to the authors, not only will the radiologists continue to touch more patient lives, the radiologist might also impact the practice of other subspecialties more than any other type of physician. Staying up-to-date with the healthcare industry is a great way to keep your practice or clinic running smoothly. At HIS, we are committed to educating our clients and readers. If you would like more healthcare industry updates, take a look at our blog or sign up for our monthly e-Newsletter today!